Hey ladies! I'm so excited to be a part of a blog hop this week! 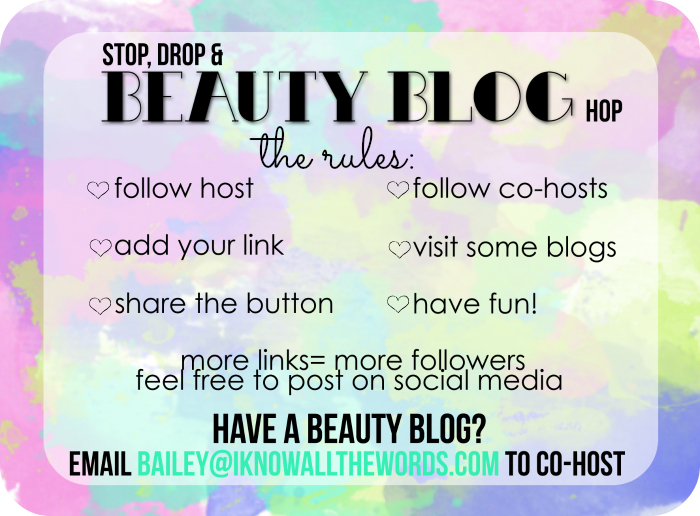 This is a great way to network with other beauty bloggers and attract more traffic to your blog. I contacted Bailey from I Know All The Words last week and let her know that I was interested in co-hosting a hop with her and she immediately got back to me! She's super sweet and very helpful! Feel free to join the hop and share this on your blog! Have fun!